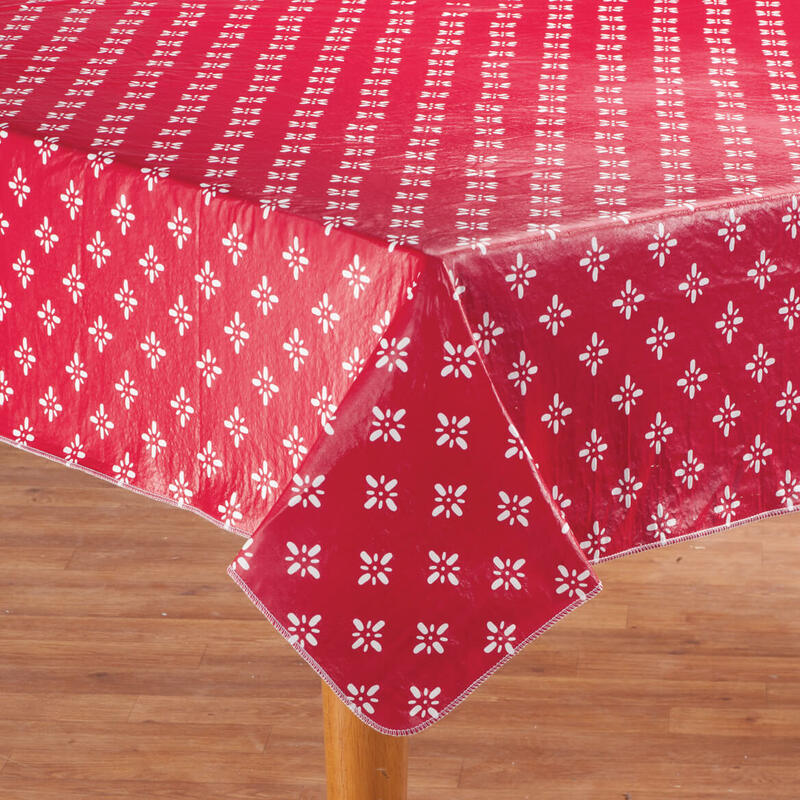 The tablecloth is of heavy quality material with a finish that is so easy to clean! I haven't seen one of these in years! It will last a long time without the finish chipping or fading. Our ladies auxiliary have been so pleased with your product and is making a beautiful presentation at our special occasions at our firehouse. The design is simple but effective in every way. We love design and is so easy to keep clean and to take care of, we have many activities and we will be able to use it with great pride. 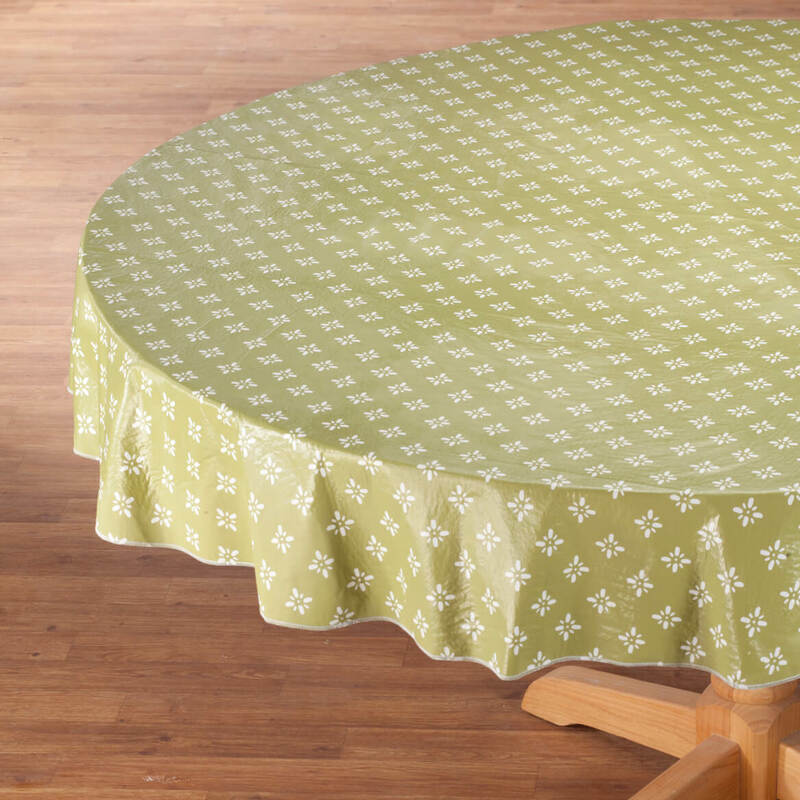 I have bought this product before, in several sizes. 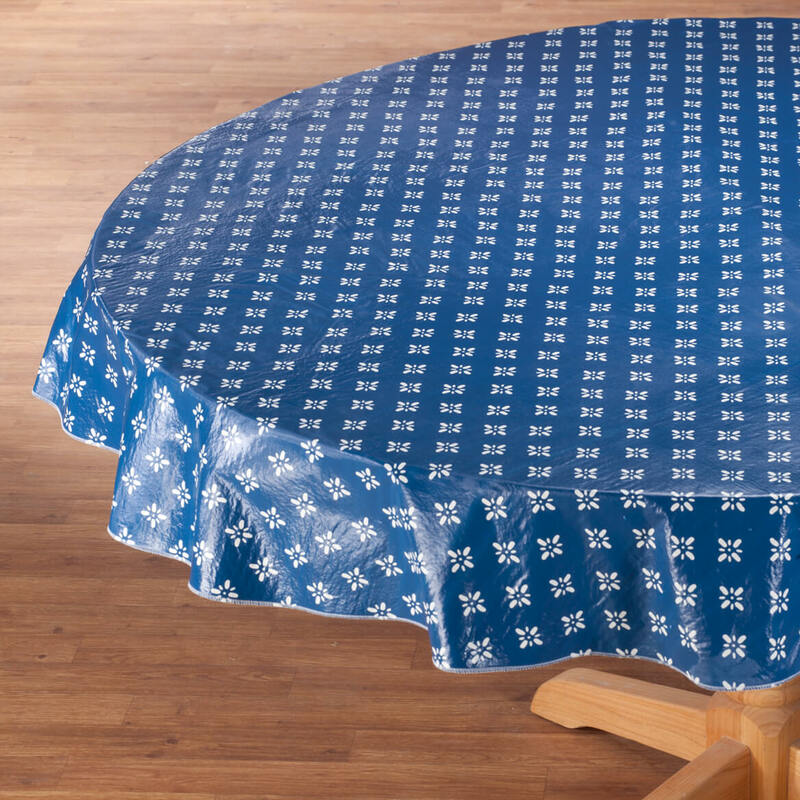 I love the table covers, both fitted and non fitted. 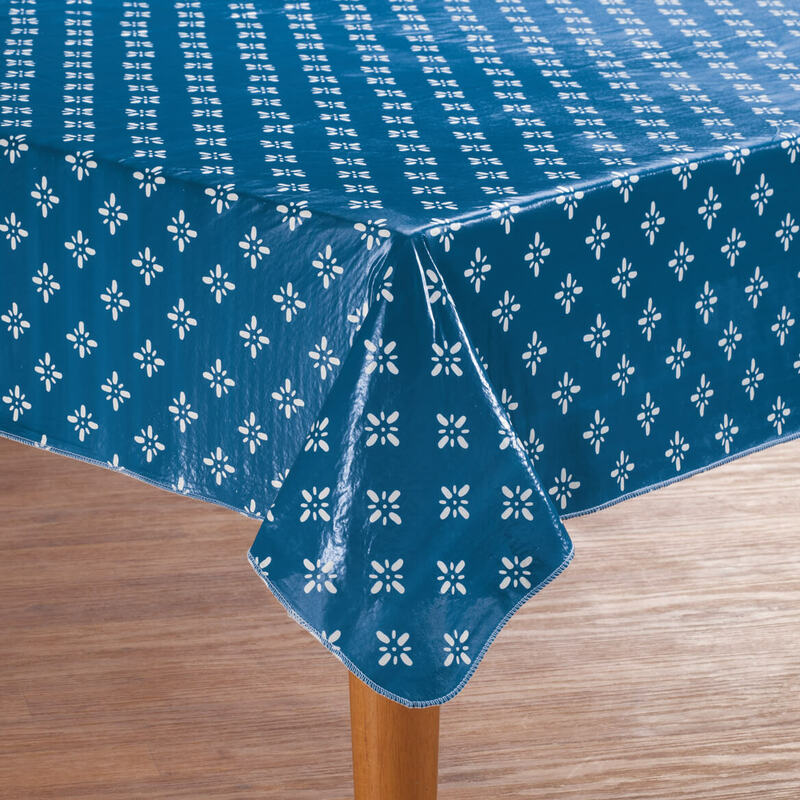 Especially when company comes as I do not want my dining room table ruined. I have and will buy this product again. 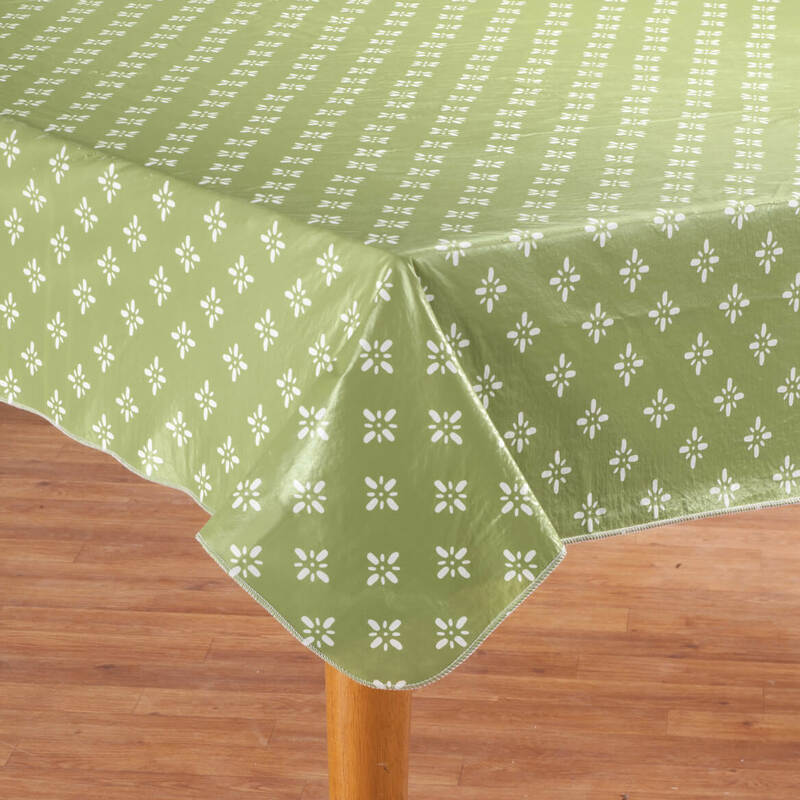 But this time, one of the table cloths a slit it. I taped the slit and used it. This has never happened before. 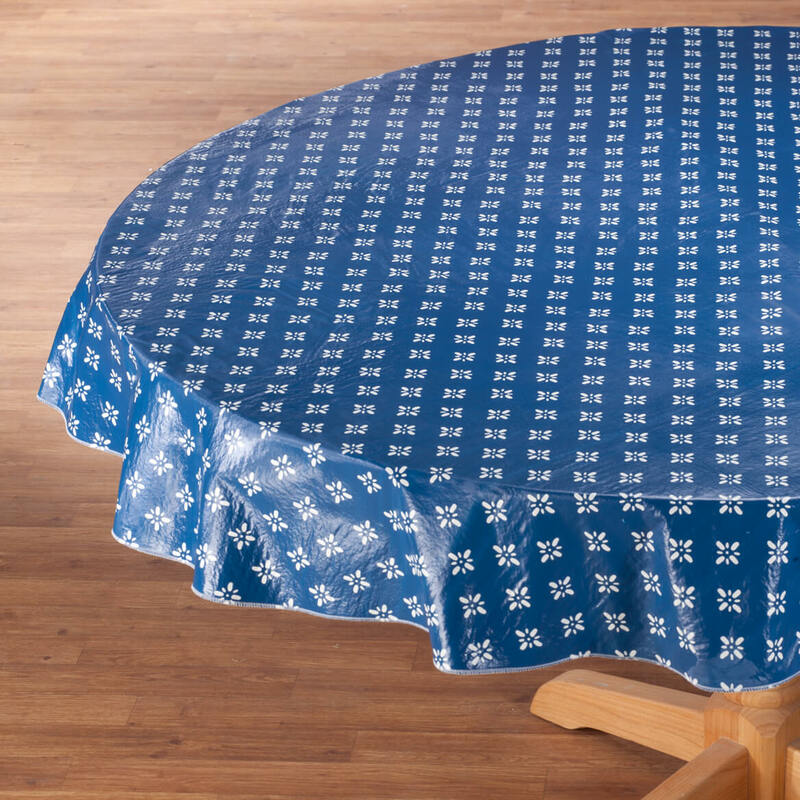 For tables in our fellowship hall at church. My mother leaks, and it works good on her bed. Easy to clean. I needed this color. Most green colors are like sage but I needed a brighter color. 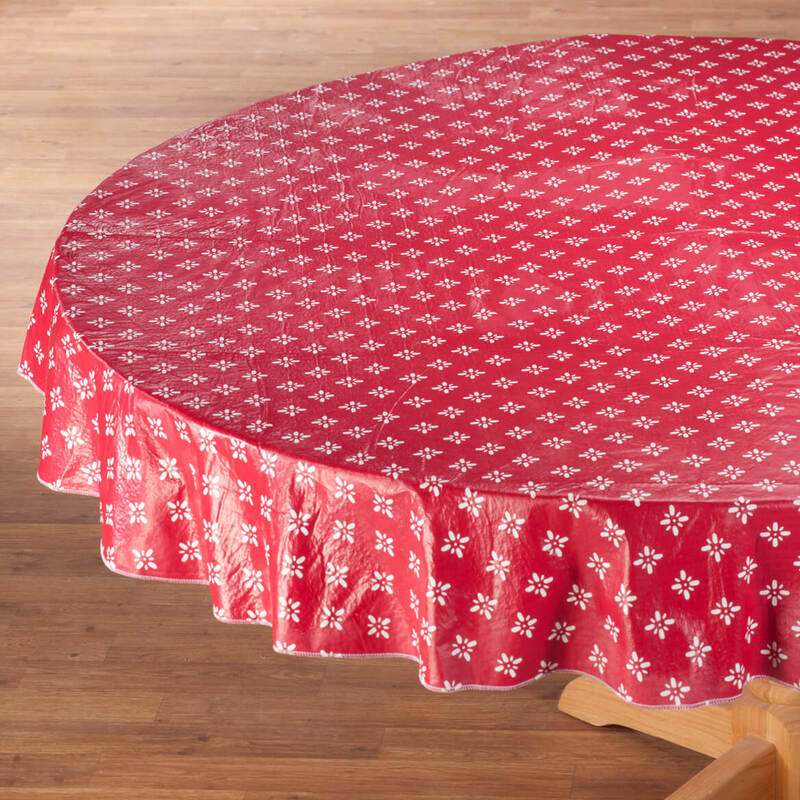 The quality is good, however, it is too small for my table. I will exchange for a larger size. 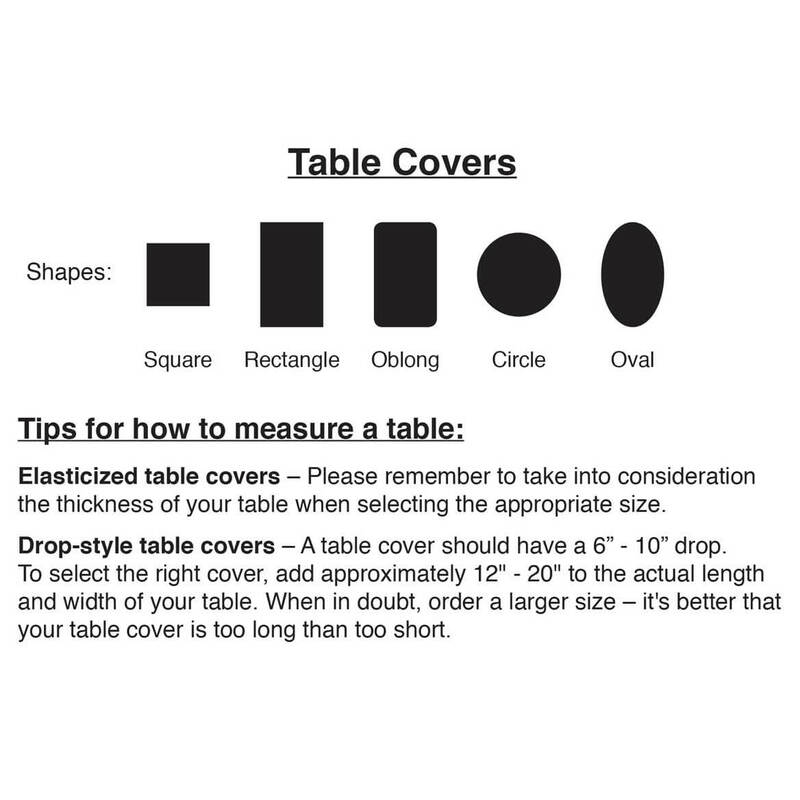 I need this color table cover. 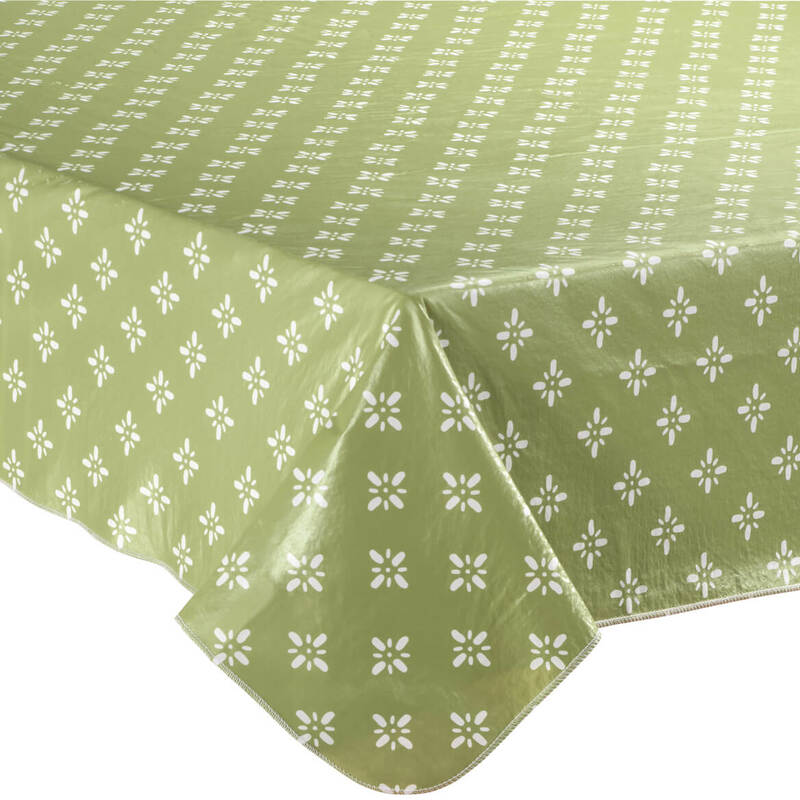 Hard to find anymore vinyl tablecloths with soft flannel backing. I chose these for fabric, color and size. I hope they will work out. 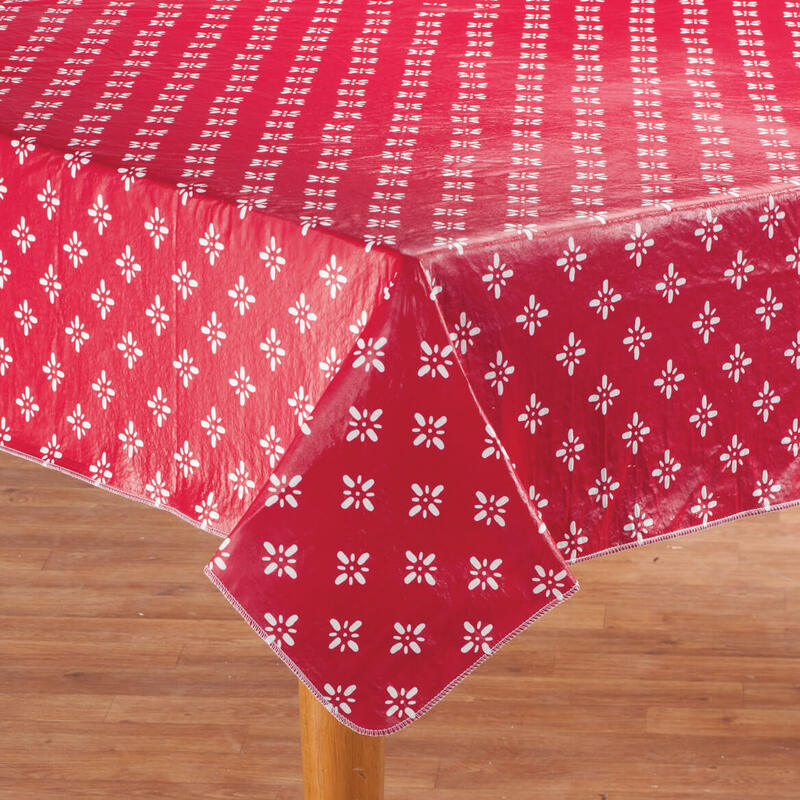 Same as the above tablecover that I purchased.